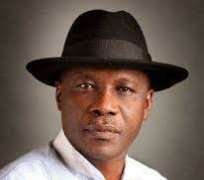 The All Progressives Congress Presidential Campaign Organisation has said that the display by former Minister of Niger Delta Affairs, Elder Godsday Orubebe at the INEC collation centre was a beginning of a sinister thing to come. Director of Media and Publicity of the organization, Garba Shehu said in a statement in Abuja that Nigerians should watch out for such antics from the PDP and its agents in the coming days. Shehu, said that the bizarre show of shame by Orubebe underpins a larger plot of the PDP and the Jonathan government to foment crisis and subvert our hard-won democracy. “Much as disgraceful as the action by Elder Orubebe was this morning, it typifies the kind of things Nigerians should expect from the PDP and its agents, in an expression of their desperation and pent-up frustrations with the popular decisions of Nigerians in the March 28 Presidential and National Assembly elections. “We cannot under-rate the frustrations of these people, and we anticipate that they will not hesitate to do the unthinkable to subvert the course of the electoral process and, indeed, democracy in the country. elements of the drama might involve a breach of law and order.